On a small and narrow lot in the quaint village of Aughrim, located southwest of Dublin is the Irish Country Cottage. 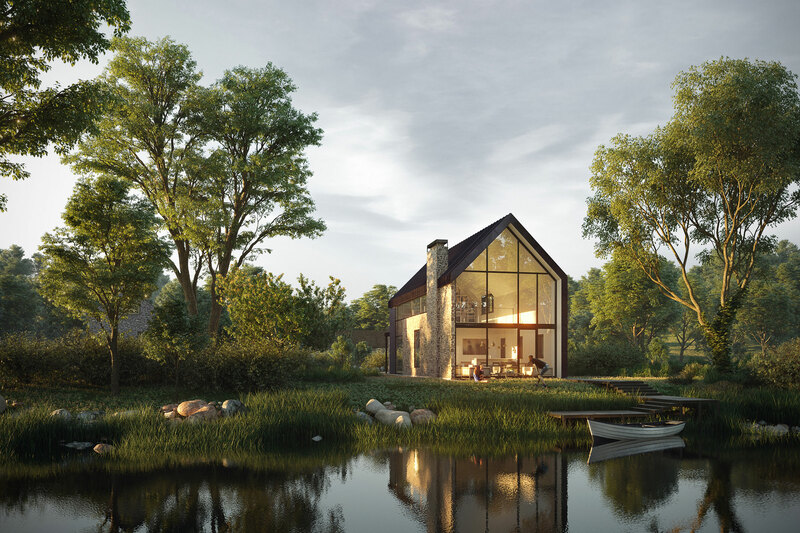 The objective was to design a holiday home that embraces the traditional regional architecture, while maximizing the riverside site, in a modern and simplistic manner. Neuroscience research on how the human brain and nervous system respond to the built environment came into play as the design unfolded, into a contemporary expression emphasizing serenity and calm.